I would like to thank you very much for the great Love Spoon. It arrived today and looks fabulous. My wife will love it. In the early 16th Century, the Church is believed to have diverted the idea of pagan Mother Earth celebrations to that of the "Mother Church". Some accounts give the idea of a persons "Mother Church" as the one that the person was baptised in. Others, relate the "Mother Church" as the main church in a district rather then the local or "daughter church". Which ever, the idea was that every one should return to worship at their Mother Church on the 4th Sunday of Lent. This meant that young Men and Women would return home from where they worked and they would bring a "Mother Cake" with them for their mothers. In Northen England and Scotland "Carling", a type of pancake, was often served and has led to Mothering Sunday being also called Carling Sunday. Other traditional cakes used at this time of year also included Simnel, a rich fruit cake and a sweetened boiled cereal dish was often served at the family dinner, which was known as "Furmety". These traditions quickly spreaded through the rest of the British Isles. Although this holiday had declined in the 19th Century, after the 2nd World War, the influence of US servicemen led to the idea of Mother's Day becoming more popular again in the UK and also encouraged the commercialisation of the day. Press here for truly unique and special Mother's Day Gifts. In the USA, the source of Mother's Day can be traced back to West Virginia in 1858. Anna Reeves Jarvis, a local teacher and church worker introduced "Mothers Work Day" to encourage better sanitation in her town. Later, in 1870, Julia Ward Howard, after seeing the horrors of the American Civil War and Franco-Prussian war, tried to introduce a Mother's Day Peace Proclamation to the international Peace conferences in London and Paris. By 1872 she had modified her aims and promoted the idea of a Mother's Day for Peace on the 2nd of June. Although this day was celebrated in Boston for a number of years following this, but the idea faded. The daughter of Anna Reeves Jarvis, also called Anna, was later the prime mover behind the adoption of Mother’s Day. In 1905, she dedicated her life to this goal at her mothers grave. The aim of the day was to honour mothers both living and dead. 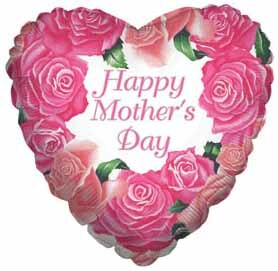 In the following years, much effort managed to establish Mother's Day first in West Virginia and later across the USA and Canada. In 1912 West Virgina was the first state to adopt an official Mother's Day. This was followed in 1914 by the adoption of Mother's Day in the USA. The ancient Greeks celebrated the Goddess Rhea wife of Cronus in early spring. There are a number of different mythologies surrounding the Greek Gods, and Rhea was more powerful before the classical (patriarchal) mythology as written. In some accounts she is the mother of the Gods. In Rome, Cybele the Mother Earth Goddess is considered the Roman equivalent of Rhea. She was celebrated in the Festival of Megalesia (Magna Mater) of Cybele from the 4th to the 10th of April although there also seems to be a connection with the Festival of Hilaria (Festival of Joy) on the 22nd to the 27th of March. This festival though is thought to be the precursor to April Fools Day. 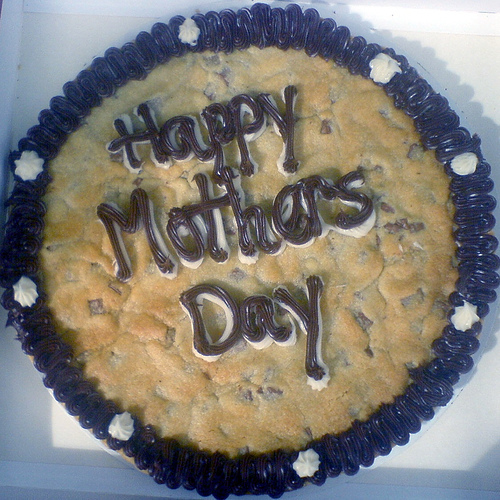 Mother's Day in Wales, Scotland, England and Ireland is the 4th Sunday of Lent. The 2nd Sunday of May is Mother's Day in the USA. This date has also been adopted by Australia, Belgium, Canada, Denmark, Finland, Germany, Hong Kong, Italy, Japan, Netherlands, Turkey and many other countries. Spain, Portugal Lithuania and Hungary hold their Mother's Day on the 1st Sunday of May. Mother's Day in Norway is held on the second Sunday in February. Bosnia and Herzegovina, Serbia, Montenegro, Slovenia, Macedonia, Albania, Bulgaria, Romania, Belarus, Russia, Ukraine, Vietnam celebrate Mother's day on March 8th. The date coincides with the International Women's Day. Bahrain, Egypt, Lebanon, Syria, Palestinian Territories, Jordan, Kuwait, United Arab Emirates, Yemen celebrate Mother's day on March 21st - the 1st Day of Spring. For a full list of Mother's Day dates in various parts of the world, please visit the wikipedia page.